Our medical team saw more than 100 patients on the hospital's first day (April 4). 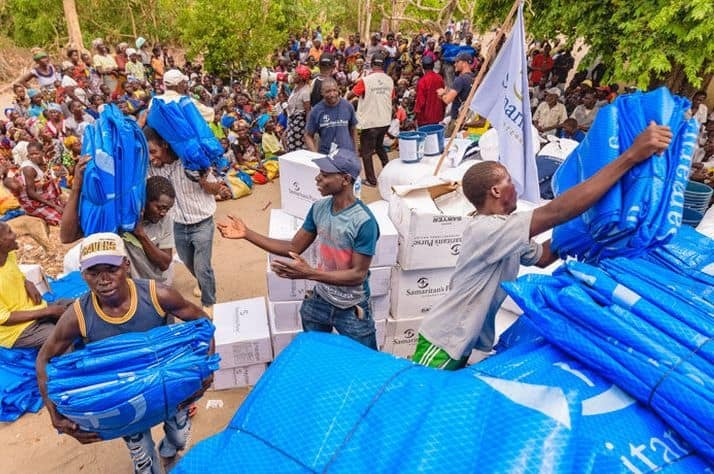 Samaritan’s Purse has opened its Emergency Field Hospital in Mozambique after Cyclone Idai ripped through the African nation—leaving tens of thousands of people hurting both physically and emotionally. Our medical work is based in Buzi, one of the areas hit hardest by the storm’s devastating winds and flooding. 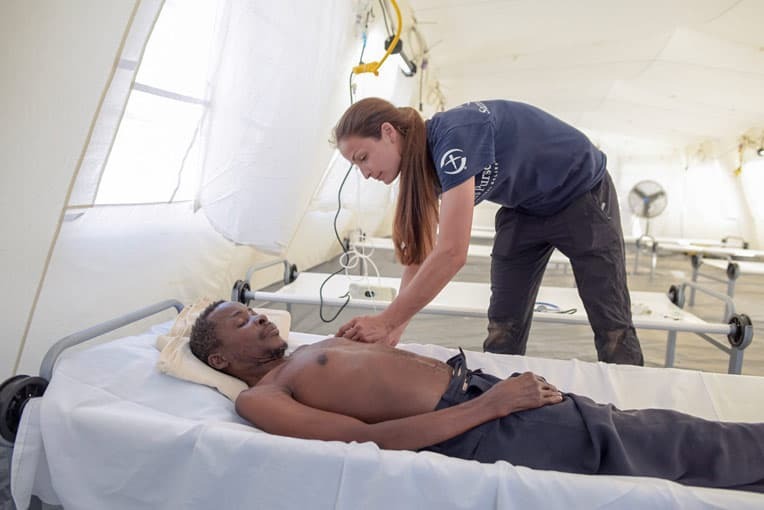 Nurse Jessica Lutz cares for Joao—our first overnight patient at the Emergency Field Hospital. The new facility features an outpatient clinic, pharmacy, lab, operating room, and in-patient wards, including one for labor and delivery. It expands the capacity of the local Buzi hospital, which was damaged in the storm. 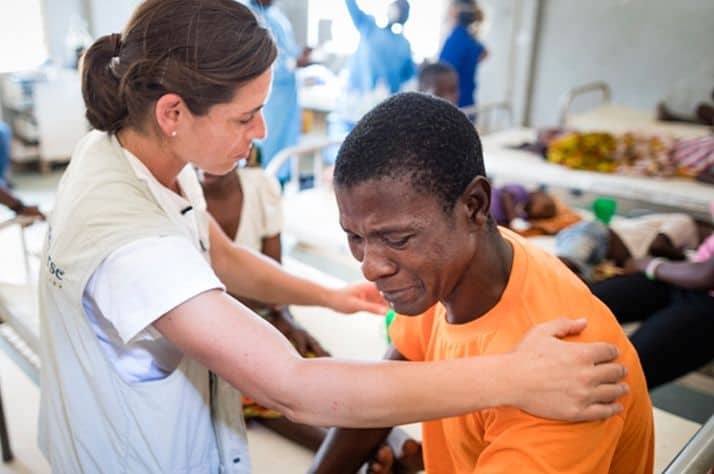 During our first day of operation, Samaritan’s Purse medical staff saw 111 patients for illnesses such as high blood pressure, fever, whooping cough, and lacerations from the cyclone. Joao was our first overnight patient, being treated for severe asthma and dehydration. During the cyclone, sand and wind began to overcome Joao and his son, so they started crawling on the ground to escape. The intense sand and debris caused Joao’s asthma to flare up but he didn’t know where to turn with many hospitals out of operation following the storm. When he heard we were providing medical care at our Emergency Field Hospital, Joao walked several kilometers to receive treatment. While he is no stranger to hospitals, there was something about our hospital that stood out to Joao. “I’ve never felt so safe and I’ve never been helped so quick. I am feeling much better with Samaritan’s Purse,” Joao said. 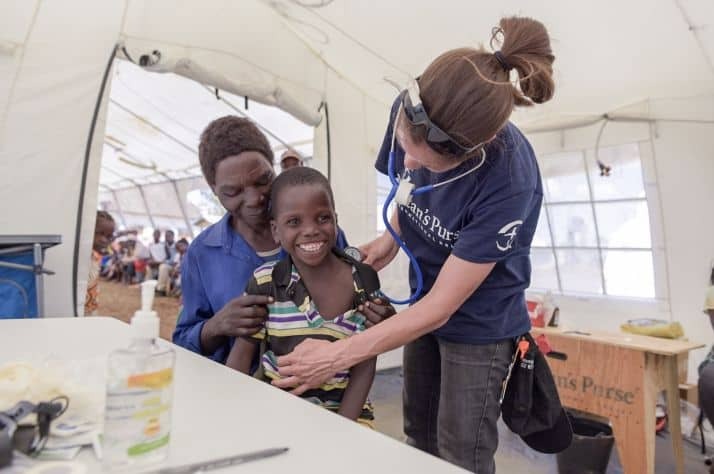 While the Emergency Field Hospital was being constructed, Samaritan’s Purse provided mobile medical care to some 400 patients in the hardest-hit areas of Buzi and its surrounding villages. Nearly a month following the storm, dozens of patients continue to suffer from cyclone-related injuries and illnesses. Antonio had never seen anything like last month’s cyclone. “There were the strong winds and then after the winds were the floods. It was like the end of the world,” he said. 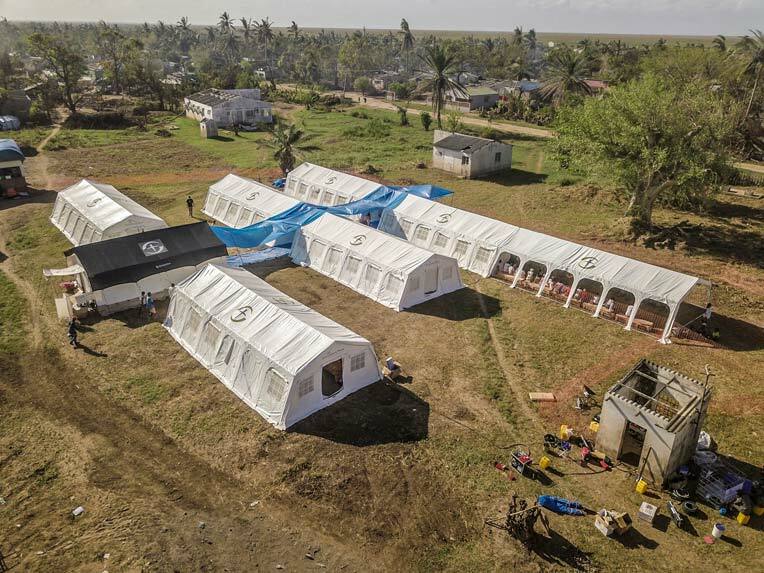 This is an aerial view of our Emergency Field Hospital, as deployed in Buzi, Mozambique. The cyclone and subsequent flooding destroyed his home—caving in the roof and knocking down walls. His only way to safety was to swim through the contaminated water. He came to the clinic seeking help for whooping cough and acute diarrhea. “I’m not feeling OK because of the flood. I was trying to swim in the water and I drank dirty water,” Antonio said. 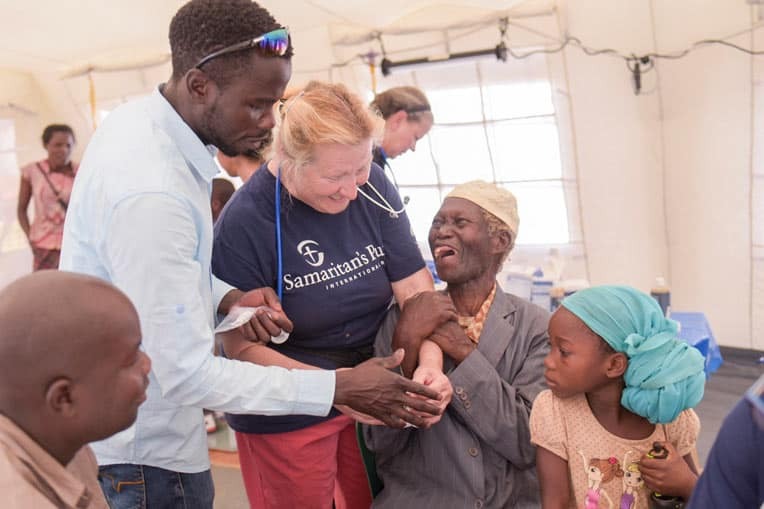 While treating Antonio at the mobile clinic, Samaritan’s Purse nurses were able to treat his emotional wounds as well as his physical needs. His cousin was one of the hundreds of people who lost their lives in the storm. His aunt lived near the river with her five children. When the river began to overflow and catastrophic flooding began to wreak havoc on the neighboring villages, the family panicked and looked for any means of escape. “The kids climbed the tree to avoid flooding but the tree collapsed from the weight and the children were swept away. Four were found but one did not survive,” Antonio said. 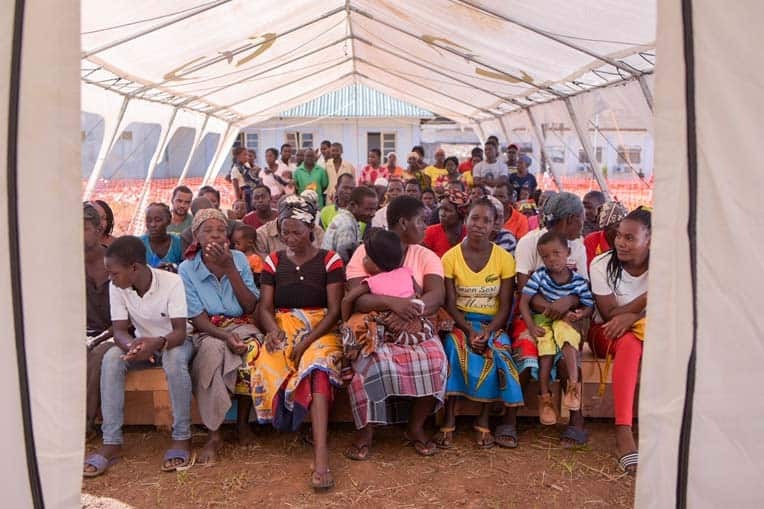 When Cyclone Idai struck their home, Infancia and her daughter Enes ran to the local church—seeking refuge in the sanctuary with several other families. “The storm started at 7 p.m. while I was cooking dinner. I was very scared because it was my first cyclone,” she said. The patient (in grey suit) is blind and was very happy to receive his medication. Nurse Claudia Evick taught him how to feel each prescription so that he can determine which is what. He said that his antibiotic pill felt like a bean and his pain medication was round. The waters continued to rise, eventually flooding the church building and filling it with water. The families began to carry the children through the water and place them in the rafters of the ceiling to keep them safe. They were trapped in the flooded church for seven days. When they finally returned home, their home wasn’t anywhere to be found. “Right now, we don’t have clothes, property, or a house. I am living at a church in an abandoned convent—it’s not yet home,” she said. Infancia and her daughter were both greatly affected by the week spent in contaminated water. “I felt very sick after the cyclone because the water, malaria, and coughing,” Infancia said. They came to the Samaritan’s Purse mobile clinic in search of medical care. “Enes fell in the water and now her eyes are yellow and she has a fever,” Infancia said. 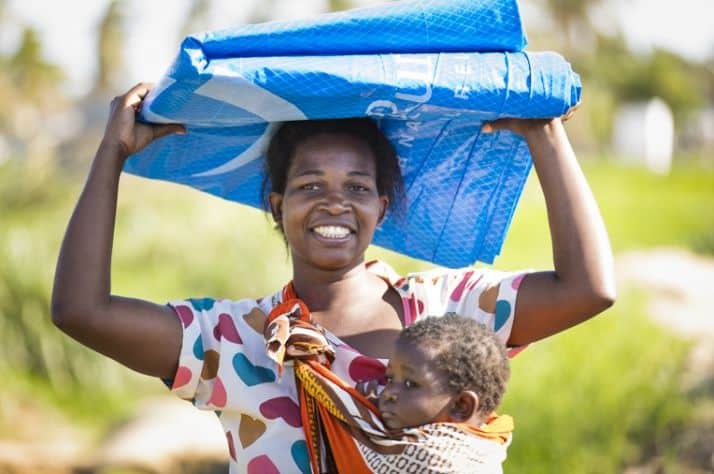 Samaritan’s Purse is committed to saving lives, reducing suffering, and sharing the Gospel of Jesus Christ in Mozambique. 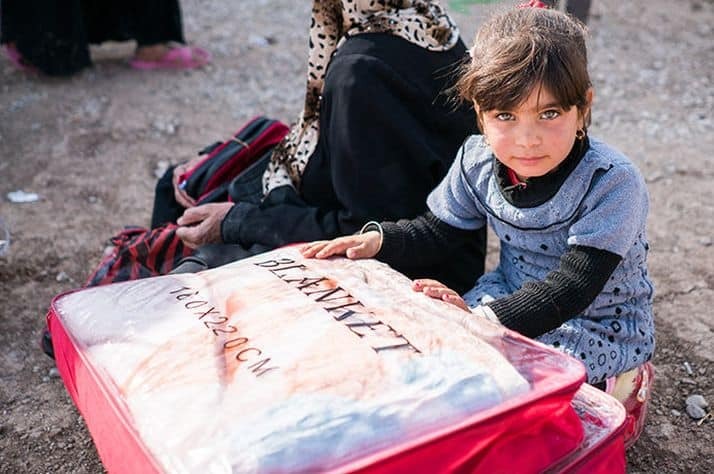 Please continue to pray for our teams on the ground providing critical medical care, emergency shelter materials, and water filtration units.